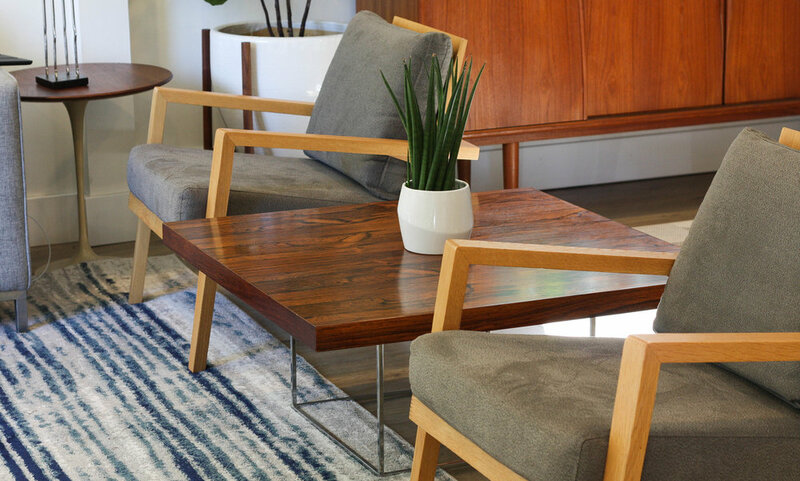 Featured here is a stunning rosewood coffee table by Milo Baughman for Thayer Coggin. The rosewood graining is second to none with highly figured patterns that have a rorschach inkblot test vibe going on. The table top floats on a highly polished chrome cube base. The mitered legs blend seamlessly at all connection points. Partial label underneath dates the table to July 1967. Excellent vintage condition as noted in the photos.